With the obvious hopes of a long playoff run and with the Winter Olympics coming up in the middle of the season, Nashville Predators starting goaltender Pekka Rinne will be taking some nights off. If Carter Hutton has more nights like Sunday, finding those nights will become easier and easier. 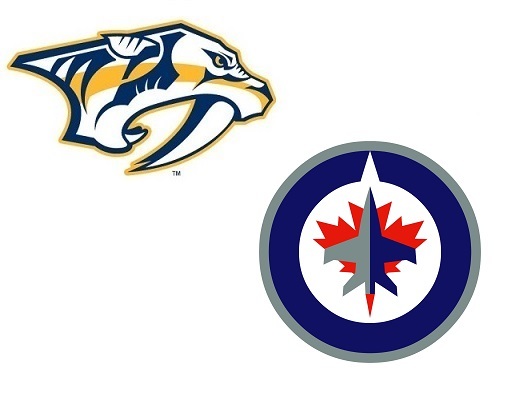 In front of 15,004 inside MTS Centre, Nashville beat the Winnipeg Jets, 3-1, and looked impressive in doing so. Hutton made his first start as a member of the Predators, turning aside 38 of 39 Winnipeg shots en route to his first NHL victory. More than that, however, he may have given the coaching staff confidence that they can call his number whenever they feel Rinne needs a rest. After all, it’s a long season and he’ll probably be playing for Finland at the 2014 Winter Games in Sochi on top of that. The Preds got things going early in the second period when Eric Nystrom broke into the Winnipeg zone with Paul Gaustad shorthanded. The former first round pick of the Calgary Flames used Gaustad as a decoy, pulled back and snapped a shot past Ondrej Pavelec to make it 1-0. Midway through the second, Patric Hornqvist was the benefactor of a lucky bounce. Just as Shea Weber had used Montreal defenseman Josh Gorges to score last night, Hornqvist used Zach Bogosian tonight. The Stockholm, Sweden, native corralled a puck along the far boards and put a routine shot toward the net in hopes that David Legwand would be able to do something with the rebound. Instead, the puck went all the way through the crease and hit Bogosian’s skate and caromed into the net, making it 2-0, Nashville. Minutes later, Nashville took a 3-0 lead thanks to a relentless attack following a power play. Gabriel Bourque, standing near the hash marks, fired a wrist shot but Pavelec made a tremendous save, knocking the puck into the opposite corner. A few seconds later, Matt Cullen posted up where Bourque had been and found the puck on his stick. The Virginia, Minnesota, native roofed it to make it 3-0, Preds. Winnipeg made things interesting with just under 10:00 left in regulation. The Jets got what seemed like six whacks at Hutton’s glove when he appeared to have covered a routine shot. The whistle didn’t blow, however, and Evander Kane got credit for his fifth of the year, cutting the Nashville lead to two and bursting Hutton’s hopes for a shutout bid. It was too little, too late for the Jets, however, as Hutton became just the seventh Predators goalie ever to record a regular season win. In back-to-back nights, the Predators allowed just three goals in 120 minutes, and scored five of their own. Both goalies looked good in their respective outings and things look on the up-and-up. The final game of the three-game road trip is in Minnesota against the Wild on Tuesday night. Puck drops at 7:00pm Central. ALL QUOTES courtesy of Illegal Curve.